There's a fair bit of agro-tourism in this area and a local one, black-crow pumpkins and corn maze had one this year. I noticed the corn was still there in January (usually it gets knocked down or cut by someone, and found the owner of the patch, and worked out a deal to combine it. It's about 10 miles from my farm, probably a 45-minute trip in the combine, and it looked like there was enough corn there to make it worthwhile, so off I went. The combine is 12'4" wide, and about 30' long, so when I drive in a traffic lane I take up the entire lane and 2-3' next to it. Most of the time I can keep the machine on the side of the road, so I stick off onto the shoulder, but guard rails and poorly placed mailboxes and stuff make me edge closer to the center. I'm always mixed about whether to go as far right as I can - I do that as much as I can, but I've had other farmers tell me different. "I drive in the center of the lane because it's when they try to sneak by you that things get dangerous. Force them to commit to going head-on into the other lane and they tend to be more careful!" says one fellow. I try to stay to the right to give them the best sight in front of me as I can, because I want them to be able to see the oncoming traffic. People are very impatient though, but to keep it as safe as I could I pulled over every mile or two and let everyone behind me pass, and then pull back onto the road and kept going. The combining of the corn was the shortest portion of the day; about 4 acres of pretty dry corn. There was quite a bit of lodging (corn that was laying flat on the ground) and something had been eating the corn kernels - even with corn laying a little sideways the corn head will pick it up if you're careful, but if there's no kernels left there's not much you can do. I was curious what the yield would be because this corn had been hit by the same flood that hit me, and there were paths mowed into it (for the corn maze. ) I filled my small dumptruck with one combine load (about 150 bushels and then kept about half a combine load in the combine as I drove home, so the total was about 225 bushels or 6.25 tons of corn off of four acres; so for 2 hours of driving plus 90 minute s of combine work it was worth it. 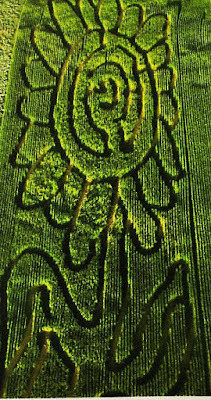 I talked to the guy running the corn maze and he explained that one guy planted it, and then another guy tilled it, and a third guy cut the corn for silage. I said that next year I'd be happy to till and plant it in return for being able to combine it like I did this year; what I'm hoping is that I can put together a deal with all the corn maze guys and maybe put together 16 or 20 tons of corn; just go down the road and combine it all in a day after they're all done with using it as a corn maze. On the drive back, the little silver subaru that was SOO mad at me. I couldn't tell anything about the driver; but they passed me on a double-yellow section, and then made a point of slowing down in front of me and rolling down the window and honking and waving their middle finger. I watched how animated the arm was and just had to laugh. I wonder if they understand where the food comes from -- every time they eat a piece of toast or a corn chip somewhere a combine blocked some traffic for them. 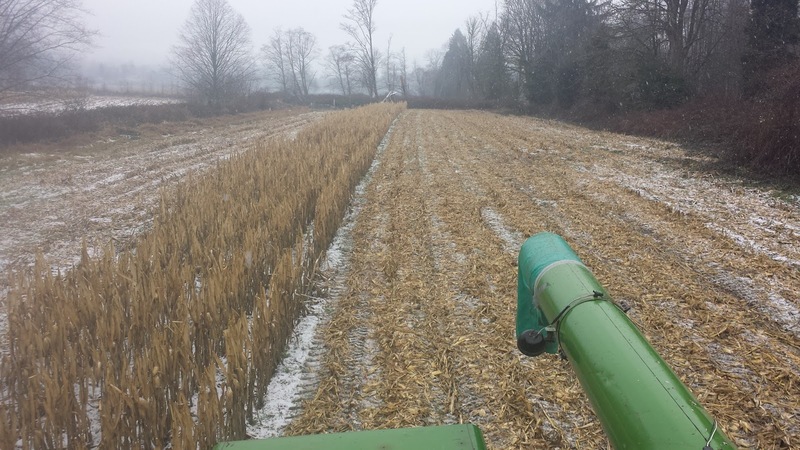 In the spring of 2015 when i was working on my 2015 crop plan I decided that I'd plant some corn and harvest it as grain corn, mostly to feed to the pigs. 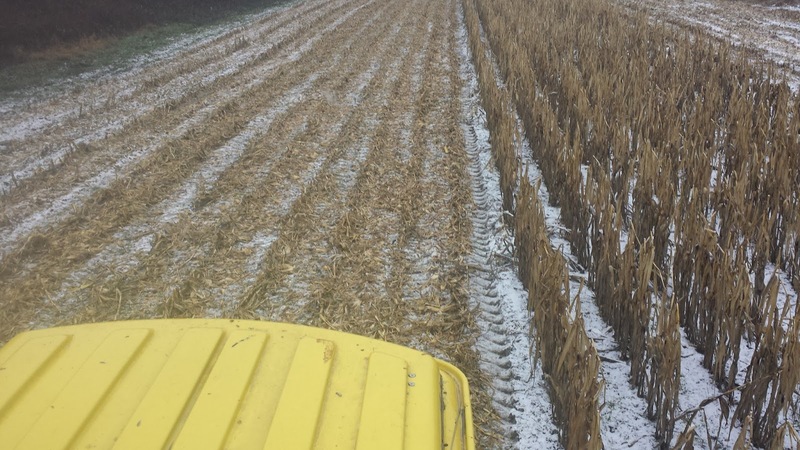 The long term forecast said that the weather would be warmer and dryer than usual, and that sounded like good conditions for growing corn. To prepare for the attempt, I did soil tests to see what the ground was like, and then amended the soil, mostly by adding lime to it, so that it would give me the best shot at getting a decent crop. I worked on my old John Deere 7000 planter, updating it to newer seed meters and replacing some worn parts, and I plowed and planted the corn, and then watched anxiously as it grew, ripened and then eventually matured and started to dry out. Somewhere in the middle of that I purchased a combine at auction, and then had to go back to iowa to get a corn head to fit it, and then do some wrench work to get the combine into field shape, and some welding on the corn head to get it in ship shape, and then put the whole thing together and figure out how a combine works. I've never used one before, and it took some fiddling and wasted corn before I got the hang of it. At this point I'm pretty happy with the combine and my skill level at working it. I'm sure that there's lots of stuff to learn, but my measure of success is how much grain goes into the tank and how much is left on the ground, and by that measure I'm pretty happy. At on first blush I thought my yields were going to be very good; amazingly good, actually. I didn't get the yields I thought I would, for two reasons: 1) My corn planter is set on 36" rows, not 30" as I thought, and 2) the area I was samplign seems to have had a larger number of two or three-ear corn than the majority of the field. I did end up with quite a bit of corn; roughly 110 tons, but it works out to 160 bushels an acre. that's a little below average yield for USA corn. There's room for improvement, but I have to say that I'm pretty happy with the harvest. I did end up having to buy and use a grain drier to get the corn down to the 10-12% moisture content it needs to be at for long-term storage. To dry the corn I used 600 gallons of propane; a little more than I would like, but part of that was a learning curve, too. It helps that propane is super cheap this year. Right now corn is selling for $157/ton or so; that's the commodity price for #2 yellow corn, which this is. So by that measure the corn I grew is worth $17,270.00 I'll note that corn prices are down quite a bit this year; just last year, that same amount of corn would have been worth $23,571 ($6/bushel); a big difference. But commodity prices do that. Part of farming. So even at the low corn prices that are present this year, my corn venture on paper made a small profit. It should be clearly profitable next year because while I'll have to buy the consumables (diesel, propane) the big purchases from this year are all paid for. Plus having a combine opens up all sorts of crops to me; wheat, barley, harvesting my own seeds (grass, alfalfa) and gives me a whole bunch of nice options for crop rotation. The real profit (savings) are actually bigger than what is shown here. I can't buy corn for $157 a ton here; it's quoted at $250/ton at the local feed mill, which makes my production worth $27,500 - and if I buy the corn in the form of pig feed, mixed with soybean meal and minerals and so on, the corn comes in at $390/ton - $42,900. To make the corn a complete feed I'll need to add some protein to it, and then figure out what I need to do to process it. The most likely source of protein is going to be some sort of bean - field pea or chick pea or soybean - and to do it right I'll need to process the feed; grind and mix it. that will be the challenge for this coming year. And that brings me to the 2016 crop plan, that I'm working on now. A year or two after I started selling animals I had a man come by the farm; he was compact, energetic and had great eye contact. Jerry was a plumber or HVAC guy; he had one of those trucks you see with his name and picture on the side, and inside it you'll probably find all of the tools of his trade. Jerry had grown up on a farm, and had moved to this area for better economics, but really missed having some animals, and he'd been driving by, he explained, and saw my animals and farm from the highway, and decided he'd stop by and see what I was up to. So I spent an hour or two talking to him as I walked around and did the chores for that day, and he was an attentive audience as I talked about this or that. I'm interested in the economics of farming, and he asked questions about it; what do the chickens cost, how much feed was, how many chickens I lost; and from his questions and comments it was pretty clear that he'd spent time on a working farm. Mostly because the hobby farm folks never care about the dollars and cents part, but the commercial farmers that I know all know what their costs are down to the penny. A good way to pass the time and at the end of my rounds we shook hands, and he drove off. I didn't think much of it, but I wasn't too surprised when he was back about a week later. He'd asked about my laying hens, and I ended up selling him 6 of them, and lending him a cage to transport them with. I was pretty sure he'd be happy with the hens; they were at point of lay, and there's nothing better than fresh eggs, and chickens are pretty easy keepers. But business is business; I charged him a deposit on the cage that was my cost to build it, plus a few bucks. I learned to do that because my chicken cages were popular, and disappeared pretty regularly. this way if it came back it cost the customer nothing, but if they kept it I could replace it without losing any money. the chickens went into the cage, and then into the back of his truck, and I watched as his huge portrait on the back of the truck faded away down the road, and then went back to doing what I was doing. I was surprised to see him back about a week after that, and this time he was very interested in the pigs I was raising. How many per litter? How many weaned per litter? Any health issues? Do you have to help a sow farrow, basic stuff. I ran through the basics of pig husbandry, and asked him if he was interested in breeding pigs; he was, he said, but needed to find a place; how big should it be? I talked him through what I'd recommend, and off he went. A few days after that he bought four little gilts from me, and a boar piglet. I was surprised because he told me that he lived in the city, but he said that he'd rented a place and that he was going to keep them there. Turns out the place was just down the road, maybe 500' from my front gate, and I could see his truck go out my gate, turn down the road, and then into the next driveway. I thought to myself that this guy was pretty dedicated to farming, but that he'd do ok. I did note where he was going; I could see it from my property, and I was curious - I kept an eye on that little plot he'd rented, glancing over now and then. So this pattern continued for the next 6 months; every few days he'd show up, and have another animal; a pig, a few chickens, a guinea fowl, some turkeys, and he'd present them to me, and I'd give him an opinion on the animals condition, and he'd go off with the animal and add it to his collection. This had started in March, and now in July I noticed a sign up, "pigs for sale" and positioned on the road so that people coming off the onramp would see it as they came to my farm, and I had folks who I had given directions to my farm tell me that they'd come and purchased pigs from me... but they hadn't. they'd purchased piglets from Jerry, and I didn't know where he was getting them from, but this was a bit annoying, so I had to start telling folks how to get to my place. the old directions were "get off the highway and look on your left for pigs; I'm the only pig farmer on the road"; now it was "get off the highway and look for a big hoop barn on your left; that's my farm". I heard from several people that Jerry was selling "young" hens at $10 each, half my price, and that he was selling piglets for $25 less than mine, too. And I reminded myself with a rueful smile that competition happens, and being open about farming and practices had a downside, too. Part of the way that I learned about these sales is that people would believe that they were buying from me, and call me to complain about something that they'd bought; the hen wasn't laying, was losing its feathers, the piglet wasn't thriving, normal retail conversations. But I had to explain that they hadn't dealt with me, they had been dealing with Jerry, and pointed them his way. I've always had a money-back-or-replacement guarantee on my animals, for the first 30 days, at the customers discretion. I am curious about why they want to exchange, but they don't really need a reason. I've found that it's just been better to take the small occasional loss from an excellent return policy from time to time than have any more unhappy customers than possible, and over time this policy shifted the business back to me. I was selling stuff I backed up, and had the inventory most of the time to just swap if they wanted. People notice quality, and if you're in the business for the long term, that can make all the difference. So as we moved on to fall, I noticed Jerrys van less and less, until finally a strange truck appeared at my driveway one morning. Keith explained that he'd been working with Jerry on the farm, and that Jerry had decided to move on, and would I be interested in the animals they had? Possibly, I said, let me take a look at them. I so went over and looked; and there were the 5 pigs I'd sold earlier in the year; in pretty good shape. Maybe 70 or 80 of the old laying hens, and a few turkeys and ducks. Why do you want to sell? We just don't want to farm anymore, says Keith. I ended up buying back the livestock for about 1/3rd what I'd sold it to him at, which wasn't much, but it gave me enough margin than I figured i could make up for the sales that I'd lost earlier in the year, and I loaded up all of the animals and brought them back. I couldn't mix the poultry with my flocks; I don't know what they had, so I built a pen over on the side, and ended up selling all of them to one group of Nepalis (people from Nepal); the pigs went into a quarantine pen so I could observe them for a few weeks to make sure they were healthy, and eventually the four gilts all had nice litters for me. And Jerry? About 7 months later he showed up at my farm gate, this time with a set of cows that he wanted to sell. Was I interested? 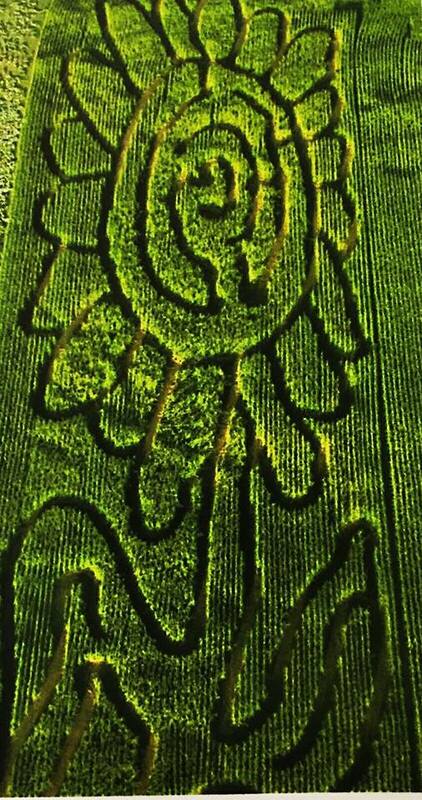 I'll take a look at them, I said, and he took me down the road about a mile to a second field he'd rented. I ended up buying those cows off of him, figuring I could auction them at a profit (beef prices were high at the time) and made a few hundred off of the transaction. And that's the story of the crazy plumber. I've raised chickens for sale for 8 years, now, and I think I started out doing that like most folks do. 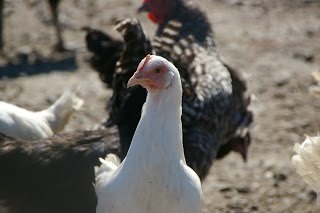 Chickens are an attractive product for a farm for a variety of reasons. Running from the pursuing tortilla shell! 3) the equipment required is relatively cheap; a 250 watt bulb, some plastic tubs to brood the chicks, and then pretty simple housing outside. 4) the work required is pretty scalable - it's about as much work to raise 500 chickens as it is to raise 10. Just bigger feeders, mostly. And more feed of course. I think commercial chickens are a gateway farming animal - if people are going to raise animals they look at chickens first, and most of the people I know don't end up keeping chickens as their primary farm focus - they move on to other things. Why is that? pasturing; but you get to use the equipment as many as 8 times per year... well, not really. The season is limited, you'll need more equipment than you think: Chickens can only be raised outdoors when it's warm enough to put the fledged-chicks out and have the not die from exposure and enough warmth that plants are growing. In my area that means that I'm limited to the space between March and October, inclusive; so I have 7 months to grow the chickens outdoors; if I'm in a barn or switch to barn production, I have 12 months. But I'm going to speak to the people who don't have a barn. 7 months is 4 batches of chickens per set of equipment. So I'm going to assign $1.50 per bird to the equipment for pasture operators as a good working number. You'll need other things besides feed for the birds: You'll also have other expenses, mostly bedding. Yes, you may have to supply bedding to the birds. Unseasonally cold temps, rain and puddles, are deadly to birds. So having some dry bedding and applying it will decrease your death loss, so you might as well make it a budge item. another $1 per bird. And finally labor. The first thing I say to new farmers is that they have to have a wage calculated in sufficient to pay someone to do the same job; if they're not making at least that much money they might as well get a paper-hat job somewhere - it pays more! In this case lets say that it takes 30 minutes to do all of the work related to the chicks each day. If you're raising 100 chicks, divide by 100. if you're raising 1,000 chicks, etc. Obviously the more chicks you can raise per hour of labor the better you'll do, but in this case I'm going to say that your labor is $15/hour * 15 hours a month, or $225. If you're raising 100 chicks, you're looking at $2.25/bird labor costs to get them to slaughter weight. To package the birds for sale you've got two issues; regulatory and production. First you have to figure out what it will take for you to legally kill and process birds in your area. In washington state it's a $75 license to process up to 1000 birds, but for your 100 birds, that' $0.75 per bird. This may also require you to get a business license ($60) and/or other licenses or fees, and there's time spent filling out the forms, sending them in and filing your taxes on the business license. So I'm going to add $0.60/bird for the business license , and I'm going to add $0.30/bird for labor spent filling out the forms and filing them, and then the additional labor required for doing your taxes. Each bird will take you about 15 minutes to kill, pluck, gut and pack. You'll get faster at this as time goes on, but this is a marathon, not a sprint; and this is a number that I've worked out in my own operations with years of experience to back it. at $15/hour a quarter hour costs you $3.75. You'll probably use equipment to process your birds; a tub plucker ($600), a scalder ($300) and some knives and cleaning supplies. I'm going to add $1.50/bird to cover these costs over time. If you sell the bird for $17.85 you get back all of the labor costs and hard costs, but you don't make a profit. And there's another set of costs involved in selling this bird. Marketing and customer contact take time. You have to find the customers and then arrange for their purchase, hopefully selling the product before you grow it, but certainly selling it as soon as its ready would be the goal. With perishable items storage and long delays in sales means losses due to spoilage. Marketing costs will typically be higher at the start of a business - you have to work hard to establish a customer base, and hopefully lower on a per-sale basis later. So I'm going to add a dollar a bird to the cost for marketing and labor related to taking and filling customer orders, but your own costs might be higher or lower. Normal retail markup called "keystone" is 100% of the cost of the item. So in this case you'd have to sell your birds for $37.00 each to have what a retail store considers to be a reasonable markup. And remember that even with that markup retail stores go out of business all the time. This seems like a completely outrageous price for chicken, right? Unbelievably expensive! Why you can get a chicken at costco, cooked, for $4.99! Well, at 4lbs or so, a $37 bird is $9.40/lb - and there are places selling it for that very price right now. So it can be done, and people are paying that price, but that's only if you sell it to the customer directly; which means a website and more advertising and retail-related costs. Or you can go a different road. I've found that there are a group of customers that will happily buy a live chicken at my farm and process it themselves. They prefer it, actually. Usually recent immigrants, but not always, they're used to picking their live bird and like the fact that you can have the whole bird. they want the feed, the liver, the gizzard and everything in between. I don't do any advertising of my chickens (other than the link on my blog at top right), and I also don't spend a lot of (or any time) with the customers except when I'm handing them their birds and collecting the money. I sell whole, live birds for $15-20 each at the farm gate, depending on size. My cost basis for the birds is about $11, so I make a $9 gross profit on the birds, and I really don't have any other costs. I do supply them access to my processing equipment, but I charge them $10 for that, which covers the cost of cleaning it and sharpening the knives after they leave so that it's all set for the next group. So at any point I've got a flock of 30 to 50 chickens that roam around the barns, and they mostly eat what the pigs spill from the feeders; I do put food out from them, and I do lose a few here or there because the pigs eat them, but I don't lose many, and I much prefer that the chickens clean up the spills vs leaving the crumbs for rats. I did buy an incubator a few years ago, and I hatch my own eggs; when I'm selling birds for food I preferencially sell the roosters - which suits the meat buyers as they're usually a little bigger, and I sell the hens to folks who want a started laying hen - at a premium. Usually get $25 for a nice hen at point-of-lay. This sort of system made selling chickens profitable for me; the conventional sell-processed-chickens to-comsumers could have been profitable, but honestly I didn't want to be in the business of convincing people that $9 a lb chicken was actually a reasonable price. I was reading a long essay from a young and hopeful vegetable farmer who was walking the walk; selling vegetables to people, and, honestly, trying to figure out what she was doing wrong because she wasn't making any money. It's an interesting read; you'll find it here. UPDATE: As pointed out in the comments here, the author and partner have closed their farm and moved on to other things. A link to the farms facebook page at the bottom of this piece. As I read through it, one comment she made, that a trip to the dentist was a desired luxury item, struck me as pretty terrible. Lots of folks think about a new car as being a desired luxury; but having a tooth filled? To me, that seems like it's a basic neccesity of life. I'm sure that you can agree with me if you've ever had a toothache. I've started and operated several businesses; I've been self employed now for around 20 years; I have a pretty good handle on what it takes to make a business profitable; and even with that experience, farming has its particular challenges in that regard. But it's not much different than any other business, too. Here's the bottom line: If you can't figure out how to make a profit on a spreadsheet, you will not ever make a profit. Even sometimes when you do figure out how to make a profit on a spreadsheet - you figure out something that looks like it will work, well, sometimes that doens't work out. But at least you have some hope. If I weren't able to have reasonable confidence that I can have positive cash flow from my farm - I'm producing more money than I'm spending and have a choice about where it goes - that's the day when I stop producing food for other folks. It would be a lot easier to grow homestead-quantities of food; and I wouldn't need the tools and infrastructure that I use now to keep my 500 pigs and 50 cows and 200 chickens and all of the other critters that I have at this point. I could get by with a couple of cows (one for beef, one for milk) a few pigs (a boar and 3 sows) and 20 chickens - because I like eggs. When I read this essay from this vegetable farmer I don't think that she ever did a spreadsheet, and I'm pretty sure that she's living a lifestyle that most of her customers wouldn't even consider. Is that really the kind of farm that you want to run? In her essay she's having fundamental doubts about it herself -- but that's something that I think she should have worked out years ago - before she turned over her first shovelful of dirt. Sustainable to me means that the people working on the farm earn enough money that they can move themselves ahead, make their own progress. That's the goal I work towards in my farming.